Why is Māori Language Week in September this year? 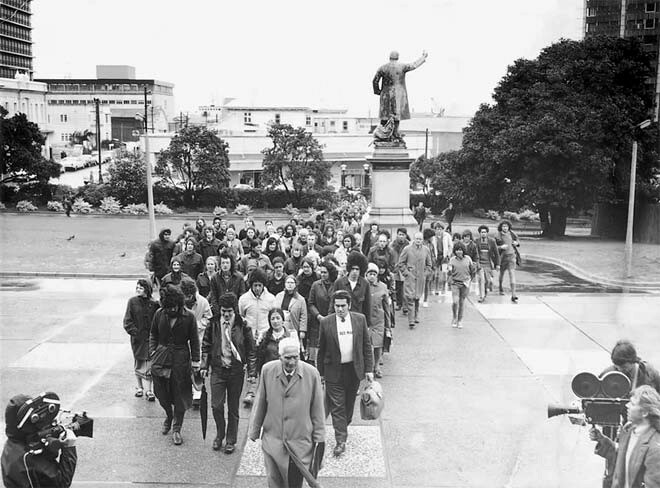 It is 45 years since the Māori Language Petition was presented to Parliament on 14 September 1972. The petition, championed by Ngā Tamatoa the Te Reo Māori Society at Victoria University and signed by over 30,000 people, modestly requested that Māori language classes be offered in schools with high Māori rolls. This event was the starting point for the many Māori language revitalisation initiatives we are familiar with today. The history of Māori Language Week is bound with that of the Māori Language Petition. A Māori language day was celebrated in 1972 with the presentation of the petition to Parliament and this became Māori Language Week in 1975. Ever since then Te Wiki o Te Reo Māori has been held in the final week of July. This year it returns to its original date in September. Dr Mary Boyce from UC, who was a member of the Te Reo Māori Society, and active in Māori language protests, will be attending commemorative celebrations in Wellington during Te Wiki. This year the theme for Māori Language Week is “kia ora” – a familiar phrase with historical significance: in 1984 Naida Glavish, a telephone operator for the Post Office, was told to stop using the greeting “kia ora”. Nowadays most New Zealander’s are accustomed to and comfortable with this greeting. During Te Wiki o Te Reo Māori there will be a number of events and activities taking place at UC. We hope all staff and students will take the opportunity to join in. Kia kaha! Previous PostUCSA building site, trial evacuation 6 SepNext PostThink first. Kia mataara.